On this visit to MIRU 8691, Fat Bruce Lee, ChiBurger, and I brought a small army to the small, fusion restaurant tucked away in a strip mall on Olympic. We had been talking up the best burger, which nobody knew about in Los Angeles, around the world headquarters for several months. We finally organized a field trip to demonstrate to the minions that Chef Miru Jung turned out some of the best burgers that we have had the good fortune to sample. Notably, the burgers were actually BETTER on this visit. Like Umami Burger, these burgers were no joke in terms of quality, consistency, and the culinary talent behind them. We had the pleasure of speaking with Chef Jung. Miru Jung is a great American story. He started his career as a dishwasher at the age of 17, and he saved over the years until he could buy a restaurant of his own. 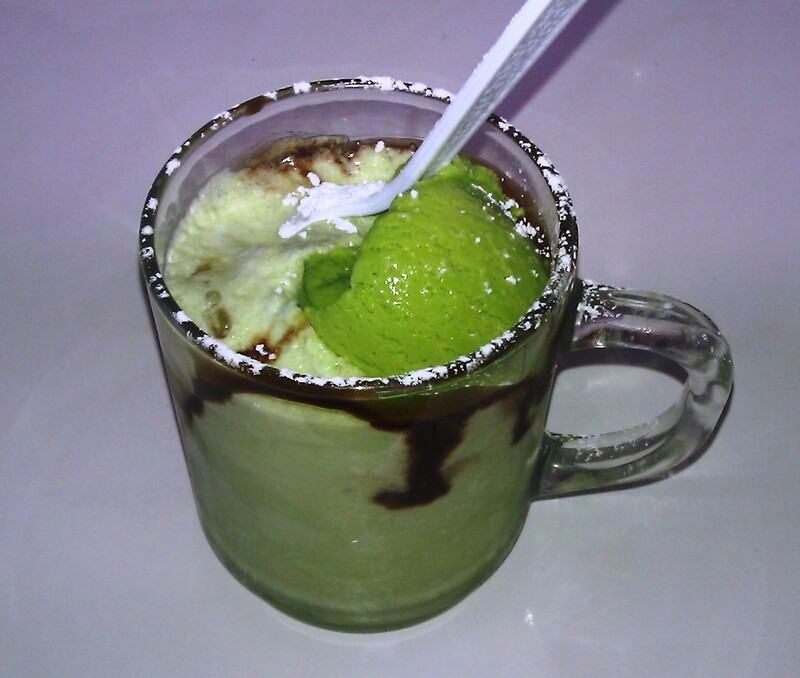 It was not just the burgers that were fantastic at MIRU 8691--we tried a number of other things this time. 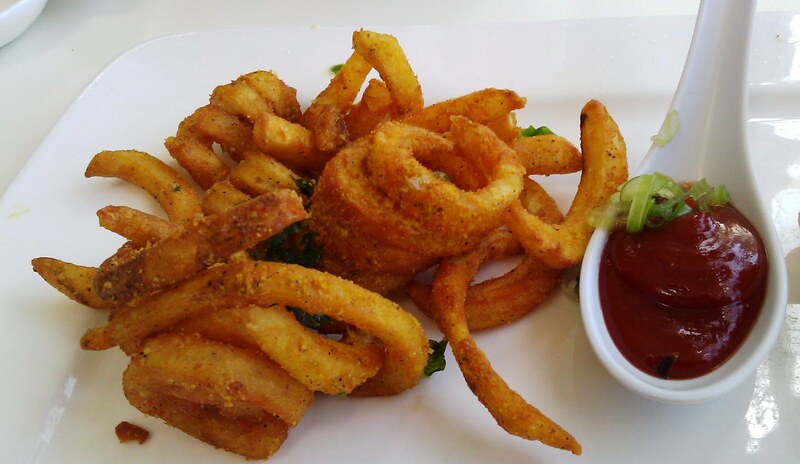 The Calvin Fries (not pictured) were loaded curly fries with spicy tuna...amazing. The rolls that came out of the kitchen were superb, as well. Chef Jung employed his serious chops as a sushi chef to build the base, and then he bumped up the flavors and textures. It takes a visit to MIRU 8691 to fully appreciate deep frying as an art. Another notable quality at MIRU 8691 was the deep attention to flavor. Every dish contained subtle twists of flavor combinations. The Sriracha ketchup and the aioli with sesame oil, rice vinegar, and soy sauce (?) were prime examples of this in action. There was an understated, confident harmony of flavors in each bite where no component held the stage for longer than was appropriate. The Beef: The Kobe beef was a medium grind of Chuck. On this, our second visit, the beef flavor was strong and prominent, and the aging came through to round out the flavor profile. The bite was nearly buttery in its tenderness, and it was perfectly juicy without being greasy. This was one of the few cases where Chuck was equal to premium cuts of beef. Susan Feniger pulled this off at Street, and Chef Jung's Kobe Chuck was every bit as good as a complicated premium blend. The Sear: The grilled sear that we enjoyed on our previous visit was still strong and full of texture. The Seasoning: The light dusting of seasoning on the exterior of the thick patties worked its way through the bite and perfectly suffused each bite with a gentle savoriness. The Preparation: As was the case of our previous visit, the burgers took about 20 minutes to arrive. Sometimes it takes a while to deliver something beautiful. MIRU 8691 easily delivered the best presentation of a burger that we had ever seen. Great care was taken in plating each dish. The 7 ounce patties were formed to order and with gentle pressure so that they were remarkably tender. This was a nice contrast to the booming beef flavors. The beef was slowly brought to a temperature between Med-Rare and Medium. This melted enough of the collagen to generate that strong flavor, but it retained the creamy mouth-feel associated with lower degrees of doneness. The Cheese: We have NEVER experienced such an exacting and masterful level of culinary expertise with regard to cheese on a burger. To create that lush, thick blanket, which was draped like a fondant over the patty, Chef Jung melted Cheddar, Mozzarella, Parmesan, and Monterrey Jack cheeses into a kelp broth. This yielded something well beyond mere cheese. The kelp broth added a quiet depth of umami flavor and creaminess to the savory cheese blend, which served to showcase the tender Kobe beef's texture without being chewy enough to blur it. The Parmesan further tricked out the cheese to add savory and funky notes. The Bun: The bun was barely sweet and crisply toasted. 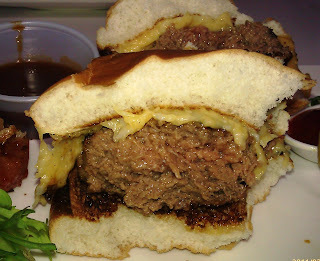 The tender, moist bun was just the right delivery vehicle to get all of that cheese and beef where it belonged (my face). The bun was otherwise invisible to the palate--this was appropriate, since there was plenty going on in terms of flavor and texture. The Fries: As they were on the previous visit...these were well-seasoned, spiral-cut, battered, crispy, golden-brown coils of deliciousness. The fries retained their crispness well after we had finished our burgers, and it was a challenge to stop eating them. The Toppings: The galbi beef was terrific, and the grilled pineapple was a huge winner. The Value: The value at MIRU 8691 was spectacular. $12 for a brilliantly prepared burger and tremendous fries. Keep in mind that the meal includes an amuse bouche trio of seaweed salad, a slice of yam roll, and edamame with aioli, and a cup of flavorful miso soup. You can't afford not to eat there. The trio pictured below is from a subsequent visit. Chef Miru Jung--one of the most under-appreciated chefs in LA. Take your friends there for instant cred. This is an undiscovered gem of culinary excellence. It is truly difficult to find this level of talent, care, and precision in terms of flavor and technique for such a reasonable price. Interestingly and refreshingly, over the course of the few months since our last visit, the burger had evolved from a really good burger to a great burger. In terms of value, this was on par with Umami Burger. In terms of flavor..yes, the MIRU8691 burgers were as good as Umami Burger. 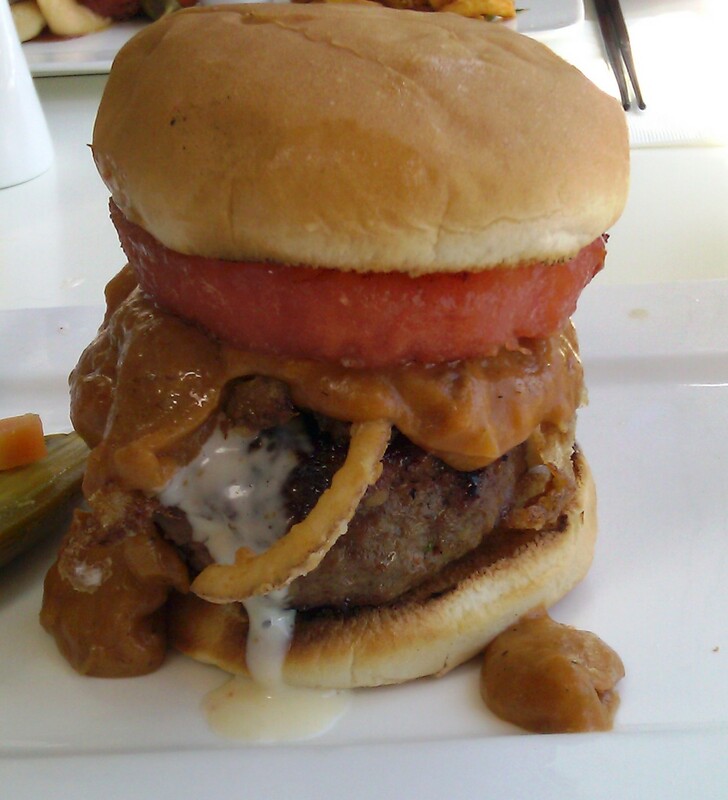 With topping, the MIRU8691 burgers won out, because of the stunning complexity and harmony of flavors. The OG Burger was a masterpiece. P.S. Try the Green Tea Shake...nice. 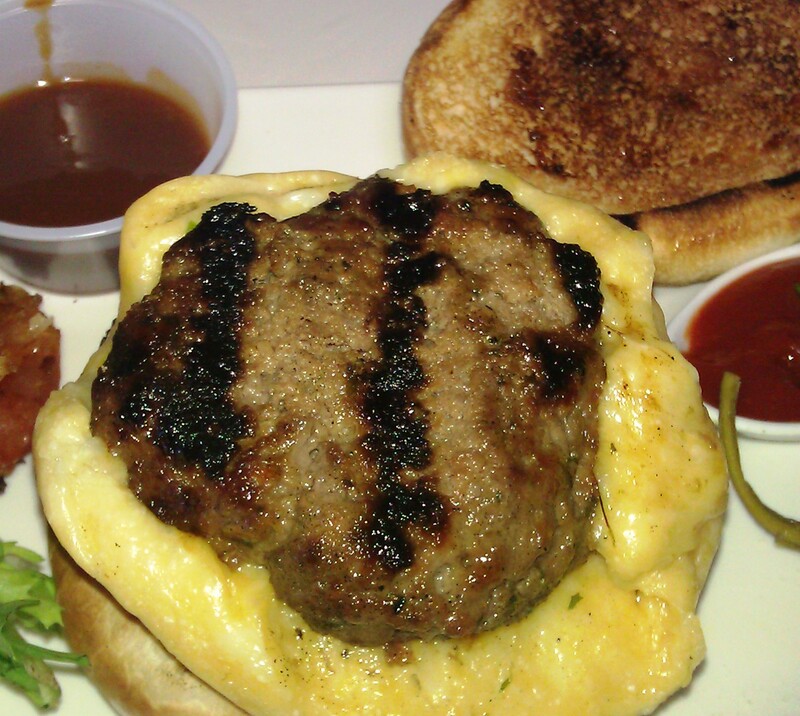 Burger Review : We were impressed the last time, but this time we were blown away. One member of our party pronounced this the best burger that he had ever tried. Chef Jung was fearless without being smug. 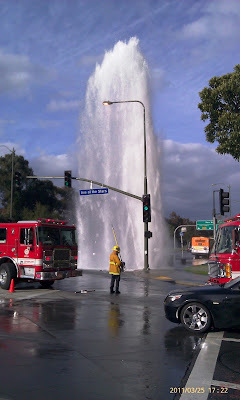 Then, shortly after we returned to our headquarters...this happened, which was AWESOME!!!! MIRU8691 OG Burger..the OG stood for "Oh, GAW|D"